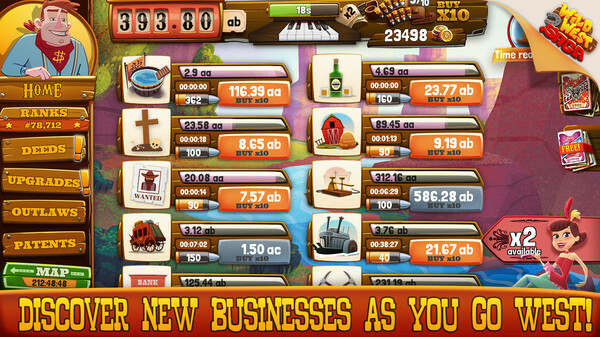 Click to create your own Saloon and 19 other powerful businesses, hire notorious outlaws, collect patent cards, discover new Towns, and show everyone how great fortunes are made! 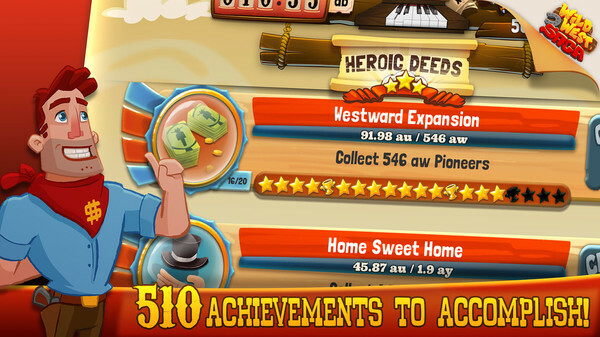 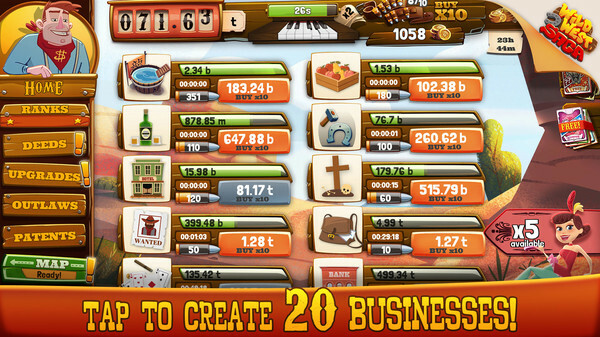 The key to this western adventure is to keep your progress in apple-pie order: upgrade the level of your business to make more money, click on Lulu Adloader, the Loot Bag, and the Piano to instantly double your profits! 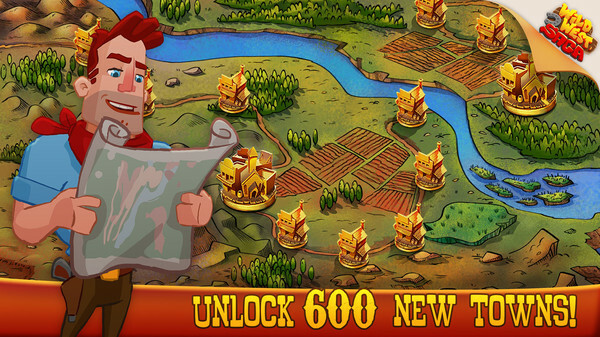 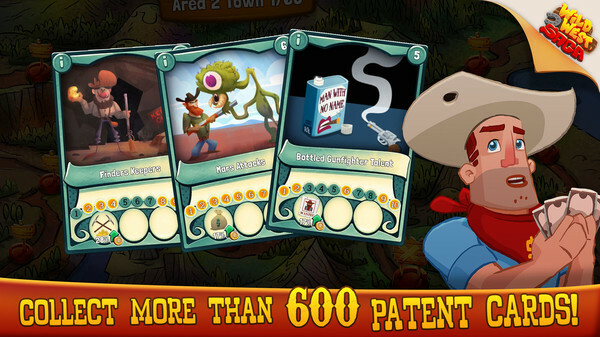 Collect patent cards to soar the performance of your businesses, and Go West as many times as you can to collect Pioneers and unlock new Towns and Upgrades! 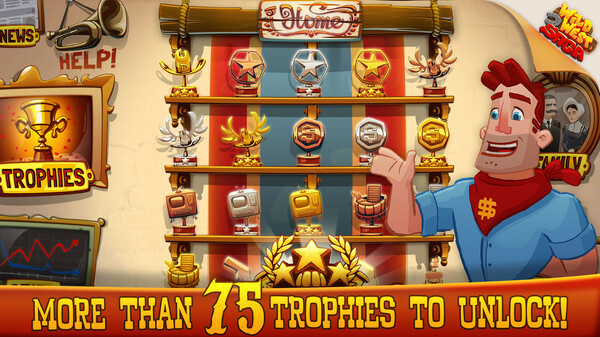 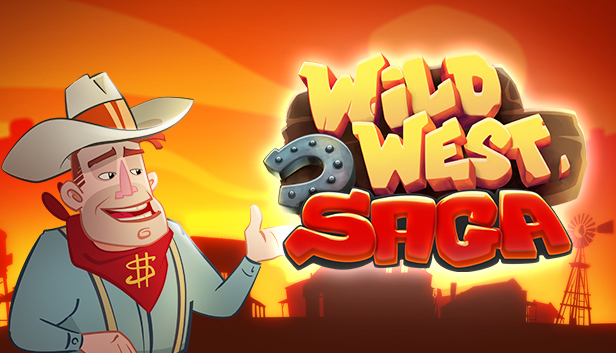 Giddy up and become a rich capitalist in Wild West Saga, the addictive idle game that will satisfy your rush for colossal profits!